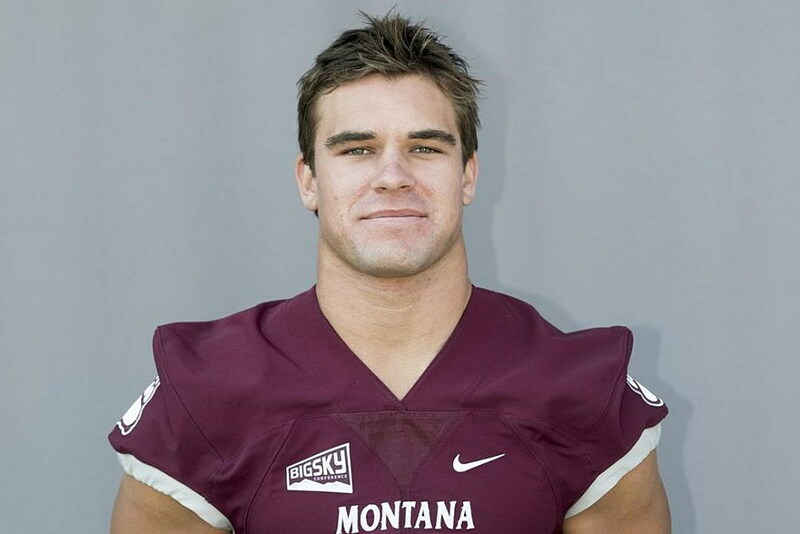 Throughout the 2018 football season, GoGriz.com will bring you a Q&A with a senior player that first appears in the Grizzly Game Day Program. Today, meet senior safety Reid Miller. GoGriz.com: You’re relatively new to Montana, having just moved here in the spring from back east. How have you enjoyed life out West and at the University of Montana so far, and what are some of your favorite things about being out here? Miller: Life in Montana has been a blast. There is so much to do in Missoula from floating the Clark Fork to hiking Mount Sentinel. GoGriz.com: You came here from SEC country and the Arkansas Razorbacks. What led you to want to make the change your senior season? Miller: When coach Bielema was let go, and I had my emergency appendectomy, I knew that it was time for me to move on from Arkansas. GoGriz.com: While It’s not the SEC, you may have noticed Montana football is a pretty big deal to the folks up here. What differences and similarities have you seen from the two football atmospheres? Miller: A large similarity with Montana and Arkansas is that there is no pro team here, so the fans are much more committed to both programs which makes the atmospheres unbelievable. The only difference is the stadium sizes but, Washington-Grizzly Stadium is absolutely one of the loudest I’ve ever played in. GoGriz.com: You’ve had a great start to the season. Your former coach Bret Bielema even gave you a shout-out on Twitter. How does it feel to be playing such a big role in, what has been an outstanding defensive group? Miller: On a daily basis, I try to do what is asked of me to the best of my abilities. Our defense is filled with so many phenomenal football players, and I’m very fortunate to be able to be on the same field as them. GoGriz.com: As we said, the defense has been great so far this year. What do you think is working well within that group to allow that, and what are your thoughts on Coach Kent Baer‘s defensive structure? Miller: As a defense, we are an intelligent group that plays with great effort which is a good combination. Coach Baer has an extraordinary football mind which allows us to be very multiple. GoGriz.com: You’re originally from Pennsylvania. We’ve got another player on the team from the Keystone State, fellow defensive senior David Shaw. I understand you guys have some background in common too. Tell us more about that. Miller: We grew up about an hour and a half from each other. We both enjoy outdoor activities like fishing and hiking but, I am not as familiar with worm farming as he is. GoGriz.com: You transferred to the IMG Academy in Florida for your last year of High School. What made you want to go there, and how did that change prepare you for Division-I football? Miller: I was recruited from Hollidaysburg to attend IMG. After my visit, I knew it was a great opportunity that I couldn’t pass on. It definitely prepared me for this level of football. Practice every day was extremely difficult but made me a better player. GoGriz.com: You’ve already earned your undergraduate degree and are working on your MBA at the University of Montana College of Business. What do you hope to do with those after football is over, and the real world comes knocking? Miller: I would like to work my way into an upper management position in a supply chain company. With my MBA, I believe this will facilitate me after my football career when looking for a job.